Sustainability Is More Than A Fad For Northeast Ohio Businesses. 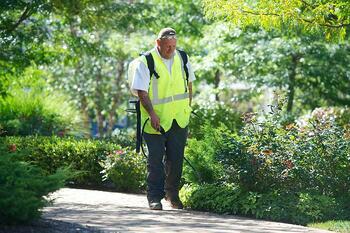 We ask because sustainability matters — and it’s something Schill Grounds Management doesn’t take lightly. As a business leader in Northeastern Ohio, we fully recognize that the decisions we make and the actions we take impact our company culture, our clients’ success, our community’s well-being and the environment’s preservation. The same can be said about your business. There’s a good chance you and your colleagues have traded envelopes for emails; started recycling plastic water bottles and copy paper; and maybe even swapped incandescent light bulbs for compact fluorescents in your office. All those actions are a great start, but if that’s where sustainability starts and stops with you — and your business — we need to talk. 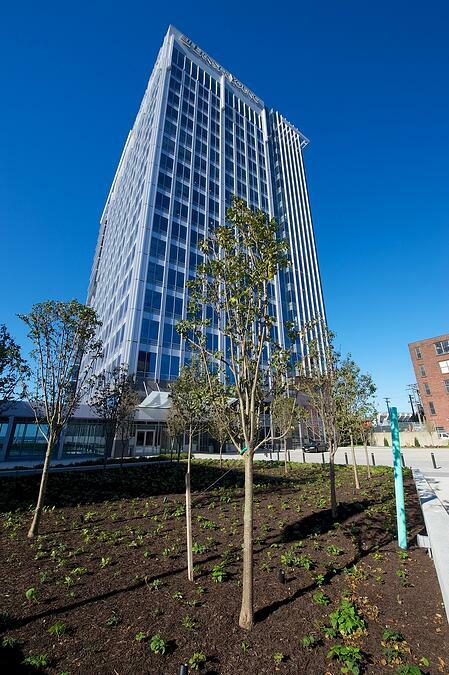 Today, forward-thinking organizations throughout Northeast Ohio are “going green” in a major and meaningful way. These area businesses (big and small) are making a difference and reaping the rewards — financially, socially and environmentally — by committing to corporate sustainability. And we’re not just talking about turning the lights off at the end of a work day. We’re talking formalized sustainability policies with long-term goals that impact every aspect of your business — for the better. But what does corporate sustainability actually mean? How is it different from the way you do business now? And does it really make a difference…or is it just an added expense and extra work? You have a lot of (really good) questions about sustainability and its relevance to your business. We expected that. The term “corporate sustainability” is a bit vague. Let’s define it. When it comes to embracing sustainability in a business sense, it helps to start out by talking about your bottom line … all three of them. That’s right, three. At Schill Grounds Management, we see corporate sustainability as the result of a business philosophy commonly referred to as the triple bottom line. TBL is a holistic business approach that demonstrates there’s more to a company than making money. TBL takes into account the full cost of doing business by breaking down the corporate mission into three separate pillars of sustainability: economic, social and environmental. Those pillars are also known as profit, people and planet. Let’s take a closer look at each pillar of the triple bottom line and how it relates to your business and its stakeholders. Profit is traditionally the end-all, be-all of a business. In a TBL approach, dollars and cents are still king and queen, but in this pillar, an emphasis is also placed on the measurement of your business’ efficiency and productivity, implementation of best practices, as well as its contribution to the economy. For an organization to be socially sustainable, it must encourage, maintain and nurture beneficial relationships with employees, clients and the community it calls home. In short, taking care of the greater good is vital, where corporate interests and employee interests are mutually dependent and community outreach is a core value. Reducing any damaging impact your organization has on the environment — or proactively seeking ways to improve it — is at the heart of this pillar. 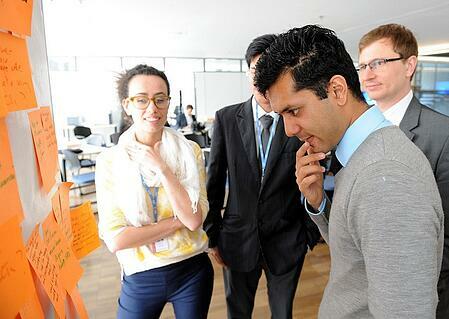 What can you do to reduce waste and conserve resource use company-wide? Any efforts made here can also directly benefit your business by reducing costs. Depending on who you ask, sustainability is something of a subjective term — valued differently from one person to the next. In the business world, it’s not uncommon to hear sustainable best practices described as expensive, trendy, time-consuming and, ultimately, unrealistic. Here are three recurring misconceptions of corporate sustainability that are far from accurate. There’s an assumption that in order to achieve corporate sustainability a company will need to assemble a task force or dedicate an entire department. Empowering the right employee or partnering with a sustainably-minded business can go a long way in driving and supporting your initiatives. In a perfect world, reducing your business’ negative impacts on the economy, community and environment would play a natural role in how you do business. Nothing extra. To be frank, if your company is unsustainable, then yes — investing in sustainability can be expensive. It’s important to remember, however, by switching to a more sustainable way of doing business makes long-term strategic sense, and any expenses you incur will be short term. Corporate sustainability is about doing what’s right for your business financially, socially and environmentally, which means it will never go out of style. It’s also important to point out sustainability is not a destination. It can’t be crossed off a to-do list or squeezed into the housekeeping portion of a quarterly meeting. Did you know, according to the Brookings Institute, millennials will make up 75 percent of the workforce by 2025? That’s a number impossible to ignore. Born between 1980 and 2004, millennials — aka Generation Y — are often knocked for being an entitled group. That might not be news to you. However, the following information may be a bit more eye-opening. According to the Brookings Institute, 89 percent of millennials are more likely to buy from companies supporting solutions to specific social issues. Sixty-three percent of millennials want to work for an organization that contributes to social or ethical causes they feel are important. Noted in a Forbes Insights report, 60 percent of companies surveyed agreed “philanthropy and volunteerism” benefit their efforts to recruit younger qualified employees. According to research conducted by Cone Millennial Cause group, 80 percent of a sample of 1,800 13- to 25-year-olds said working for a company that cares about its impact on society is important — and more than half said working for an irresponsible corporation is out of the question. Millennials will be your most socially conscious employees to date; this way of thinking and living comes natural to them. Your commitment to corporate sustainability will be expected from the young, qualified employees you’ll need to attract and retain. Now that you have some background on corporate sustainability and why it matters to the success of your business, let’s look at effective ways of putting it into action. Schill’s recommendation: Start from the outside and work your way in! It’s time to send a message to your employees, visitors, investors and community that you care about your grounds and its impact on the environment. Partnering with a commercial landscape contractor that’s committed to offering environmentally-responsible solutions can deliver that message loud and clear. In Northeast Ohio, sustainable landscape design isn’t just the way petunias and snapdragons are arranged in a flower bed. From site planning to installation to maintenance, it’s a holistic approach. 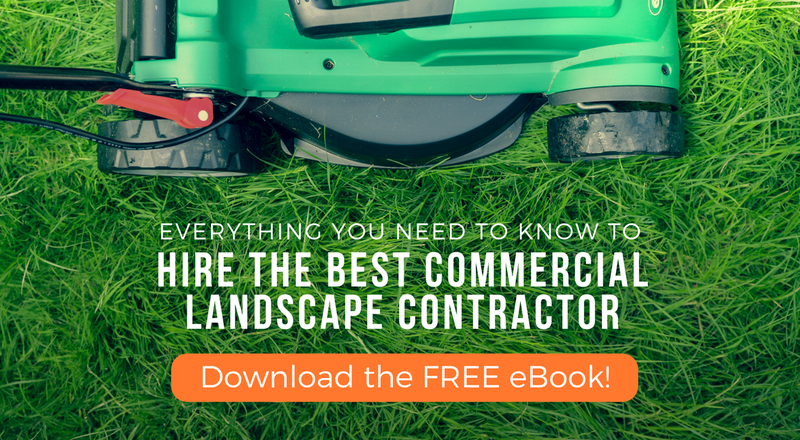 To keep your commercial landscape thriving for the long run, it will require maintenance, repairs, adjustments, replacements, upgrades, etc. It is important to recognize that your landscape is not static, but ever-evolving is a good first step in sustainable landscaping. Your landscape is not a set-it-and-forget-it investment. Understanding this will help you make decisions, not just based on immediate outcomes, but also to achieve results for seasons and years to come. Native plants are natural to our local growing environment — temperatures, soil, rainfall, humidity — and thrive in it. These plants are easier to maintain and introducing them into your landscape can reduce watering needs, fertilization, pesticide intervention and cold weather protection. Replacing plants can be expensive and the brutal reality is if one plant’s suffering from disease, it’s a good bet other similar plants in your landscape are suffering. That’s why integrated pest management (IPM) is so important. The goal of an IPM approach is proactive in nature, identifying and isolating pest damage while preventing the need for a broad pesticide treatment application. Schill‘s team of highly trained professionals have an intimate knowledge of the plants on our clients’ properties, and because of it, we can keep an eye out for potential damage when pests are active. In addition to mowing, the treatments used to keep your turf lush, green and weed-free also deserve a closer look. For commercial property owners interested in transitioning from a synthetic fertilizer to organic, a hybrid-fertilizer program is a cost-conscious answer because it blends organic fertilizers with a small amount of synthetic fertilizer. Schill is an advocate of hybrid-fertilizer programs. We’re striving to significantly reduce the use of synthetic fertilizers that contribute to waterway pollution. By combining our non-toxic bio-nutritional product with synthetic fertilizer, we can improve your turf’s drought tolerance, cut down on phosphorus use, balance the pH levels in your soil and suppress harmful insects, grubs, and plant diseases while reducing the use of synthetic herbicides, pesticides, and insecticides by 50 percent. If you have lot of green space, it’s time to look at the man-hours and fuel it takes to properly mow it. Compared to walk-behind push mowers, riding mowers are the fastest, most efficient way to cut the grass on a commercial property. At Schill, we have the largest fleet of propane-powered mowers of any landscape service provider in Northern Ohio. We have already converted more than 40 percent of our mowers to locally-sourced propane fuel. Propane-powered lawn mowers cut carbon emissions by up to 70 percent compared to fuels traditionally used for mowers. Why propane? Propane isn’t harmful to soil or water and research has proven it to be one of the cleanest-burning fossil fuels. Did you know the bagged grass clippings and yard waste landscapers collect on your site produce methane gas? Methane is a major contributor to greenhouse gas emissions. Whenever possible, an eco-conscious landscaper will recycle grass clippings, leaves and twigs by mulching on site and working it back into the landscape naturally. Schill Grounds Management believes in a “closed loop” recycling approach that results in zero waste. For landscape scraps that can’t be reintroduced into our clients’ landscapes, we send these materials back to our recycling compost facility for processing that results in a nutrient-full compost — and, of course, zero waste. If your landscape lighting hasn’t switched over to LED bulbs, you’re wasting too much money and energy to light your property. Today, LEDs deliver the same amount of outdoor illumination at a cooler temperature while cutting energy use by up to 80 percent. They also last nearly 25 times longer than traditional incandescent bulbs, which means lower maintenance costs and fewer bulb replacements. Also, for properties receiving visitors in the evening hours, professionally installed and maintained landscape lighting improves pedestrian safety and peace of mind on and around your property. Is your stormwater running in the right direction? Stormwater runoff is one of the leading sources for water pollution. As water runs off of hard, impervious surfaces — parking lots, sidewalks, rooftops — it can also pick up anything in its path, including any chemicals like motor oil, coolants and fertilizer, and carry it to nearby bodies of water, polluting them, harming wildlife and contributing to unwanted algae growth. Improvements in stormwater management have been driven by the need to improve water quality in Northern Ohio, from Lake Erie and the Cuyahoga River to all of Northern Ohio's inland lakes, rivers and streams. You might say, for large landscaped properties, a smart irrigation system with rain sensors is the backbone of an effective sustainable landscape design. 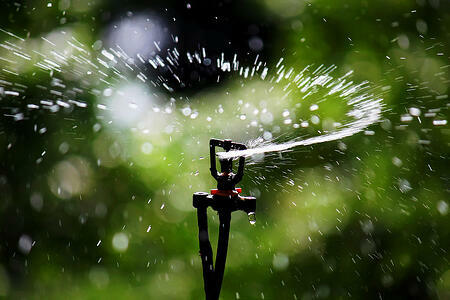 It enables your plantings and turf to look great without wasting water. Having a system like that in place can also help lower your property’s water bill. Smart irrigation controllers take human error out of the watering process and are often retrofitted seamlessly into current irrigation systems — making a positive impact immediately. In addition to reducing water consumption, introducing this new technology to your irrigation needs will also reduce water runoff (due to overwatering) and prevent fertilizers from leaching into local waterways. A sustainable landscape doesn’t take a season off. 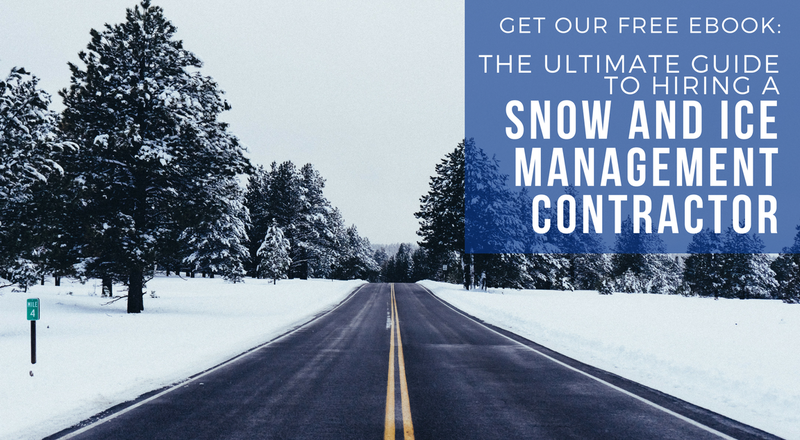 That means, even when the snow flies, there are steps you can take throughout our Northeast Ohio winter to keep your property running safely, efficiently and responsibly. And when it comes to winter storms, liquid deicers are a good place to start. Did you know when a commercial property is pretreated with a liquid deicing formula, its surfaces will require fewer salt applications, which reduces time on site and fuel consumption? Rock salt naturally bounces when it lands on surfaces, but liquid deicers help stabilize salt — keeping it in place and preventing it from spreading into the landscape, where it can change the structure of your soil by drawing much needed moisture away from a plant’s roots. At Schill, we go a step further in the deicing process by pretreating the bulk material at our facilities. Our liquid deicing solutions contain fewer chemicals and include natural byproducts that improve their effectiveness. The success and sustainability of a company relies heavily on its employees. Schill Grounds Management may know a thing or two about sustainable landscaping, but before we’re able to provide our clients with the many sustainable landscaping services we offer, we first have to implement sustainable best practices into the way we hire and train our staff. In the early stages of Schill’s hiring process, we require drug testing and also perform a background check on every job candidate we’re considering. Once hired, every new Schill employee must pass a rigorous week-long orientation course that includes hands-on landscape training and a series of online testing and assessments. When a company invests time and money into bettering its employees, good things happen — for everyone. Educated employees are confident, engaged and good at what they do. This translates into your business retaining quality workers to produce a better product for happier customers. At Schill HQ, we make training an integral part of the way we do business by holding in-house trainings every Tuesday covering best practices in industry-specific safety and technical applications. This keeps our crew members in demand and their skills relevant. Schill also hosts an annual, company-wide training day to review policies — old and new — and introduce new landscape equipment and horticultural practices. If you are interested in improving the way you hire and train your employees, Schill would love to sit down and talk with you about our effective hiring and training methods. When it comes to providing sustainable services that help protect the environment while delivering positive results to your triple bottom line, Schill Grounds Management is a leader in Northeast Ohio. From propane-powered mowers to bio-nutritional fertilizers to smart irrigation systems, we have made a pioneering commitment to commercial grounds management solutions that are cleaner, safer, healthier and more valuable — without increasing your costs. 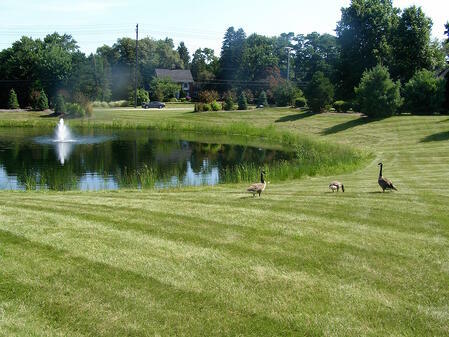 Our landscape design team has more than 20 years of experience planning and building environmentally responsible commercial, industrial, retail, and condominium HOA landscape projects throughout the Northeast Ohio region. These projects are beautiful, low maintenance and improve property values while incorporating local best practices to reduce our footprint on the planet. Will this be the year your organization commits to becoming more sustainable? Schill Grounds Management can help you develop a site maintenance plan that outlines long-term strategies and short-term tactics to achieve sustainable maintenance goals. 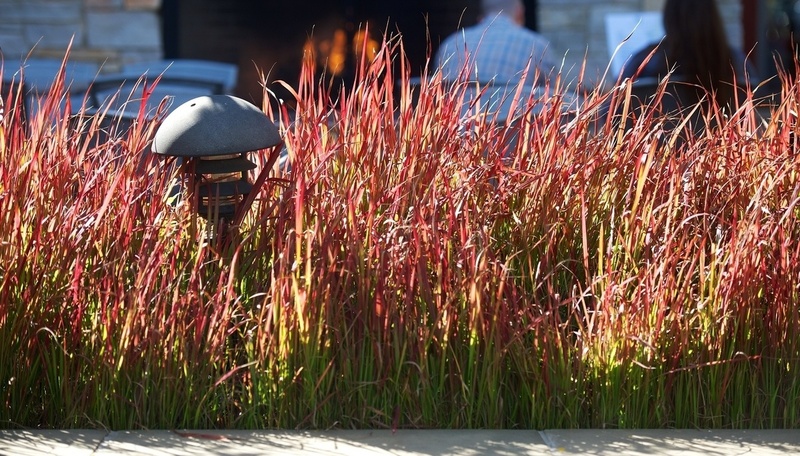 Many of our clients and prospects are showing more interest today than ever before in sustainable landscaping methods for their commercial landscapes. That’s something we take great pride in. 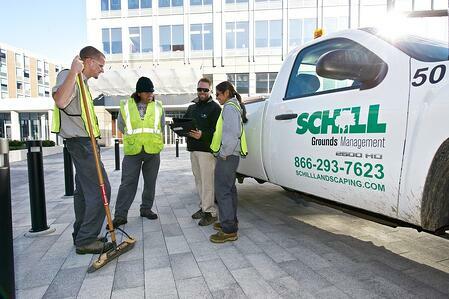 If you are ready to improve the quality of your outdoor environment and create healthy community spaces that boost the value and appeal of your commercial property, it’s time to contact Schill Grounds Management. Fill out our short web form to request a proposal, or call our offices at 440-327-3030.